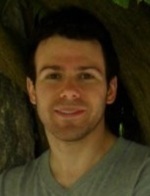 Ryan McGarry is a Ph.D. student working under Dr. Pam Greenwood. He received his B.S. in Psychology from GMU in 2008 and his M.A. in Human Factors and Applied Cognition in 2010. His research interests include the neural mechanisms implicated in the distribution of visual attention, cognitive aging, and cognitive training. Strenziok, M., Greenwood, P. M., McGarry, R., Thompson, J., & Parasuraman, R. (2012). White Matter Integrity in the Left Anterior PFC and Right Posterior Frontal and Parietal Cortices Facilitates Cued Spatial Working Performance in Healthy Aging. Society for Neuroscience 41st Annual Meeting. Lin, M., Greenwood, P.M., McGarry, W. R., Fryxell, K. J., Thompson, J., & Parasuraman, R. (2011). Effects of COMT Haplotype on Cortical Thickness and Surface Area in Human Brain. Society for Neuroscience 40th Annual Meeting. McGarry, R., Strenziok, M., Greenwood, P. M., Thompson, J., & Parasuraman, R. (2011). Interactions Between Cognition, Aging, and Cortical Thickness in Healthy Older Adults. Society for Neuroscience 40th Annual Meeting. Strenziok, M., Greenwood, P. M., McGarry, R., Thompson, J., & Parasuraman, R. (2011). White Matter Integrity in the Left Anterior PFC and Right Posterior Frontal and Parietal Cortices Facilitates Cued Spatial Working Performance in Healthy Aging. Society for Neuroscience 40th Annual Meeting. Clarke, E., McGarry, W. R., Bicksel, J., Thompson, J., Peterson, M. S., Strohl, J., Greenwood, P. M., & Parasuraman, R. (2011). Cognitive Training in Healthy Old Age: Comparison of 3 Training Tasks on Everyday Cognitive Functioning and White Matter Integrity. Society for Neuroscience 40th Annual Meeting. McGarry, R., Greenwood, P. M., & Parasuraman, R. (2010). Effect of Aging on Distribution of Visuospatial Attention. Society for Neuroscience 39th Annual Meeting. Parasuraman, R., De Visser, E., Clarke, E., McGarry, W. R., Hussey, E., Shaw, T., & Thompson, J. (2009). Detecting threat-related intentional actions of others: Effects of image quality, response mode, and target cueing on vigilance. Journal of Experimental Psychology: Applied, 15(4): 275-290. McGarry, R., Greenwood, P. M., & Parasuraman, R. (2008). Caffeine’s Impairment of Cognition in Low-Sleep Conditions. American Psychological Society 20th Annual Meeting. Railey, A. M., Morgan, K., McGarry, R., Wanschura, R., Flinn, J. M. (2007). Zinc Related Spatial Memory Impairment in Tg 2576 Mice. Society for Neuroscience 36th Annual Meeting.